Finding a professional preparer of tax services can not only save you a lot of money on your taxes, but it saves you the time of having to do all of the paperwork yourself. However, it pays to do your research on finding the right individual or firm or you could end up spending more than you originally intended. That’s why the professionals here at A&R Income Tax are interested in providing you with tax services that are not only efficient but are also affordable. Preparing your taxes is not something you can ever get away from, so doing it year in and year out can be a hassle, even to an experienced tax preparer. Certain items can be missed and, when worse comes to worse, you could even get audited. The best way to prevent these problems is to hire A&R Income Tax to provide you with tax services. We’ve been providing tax services to businesses for over ten years now, and we’ve handled a variety of cases that have adequately prepared us for anything that comes our way. We take the time to go over every single detail of your tax preparation documents to ensure that you’re getting the most value for your dollar, as well as saving more and more on your taxes every year. Tax services aren’t something that should have to break your wallet every year when you should be trying to save money by preparing your documents properly. By going with A&R Income Tax, we can render tax services to you at an affordable price, but with the same quality of service that even the expensive firms offer. You don’t have to pay an arm and a leg to have your tax forms completed in a timely and efficient manner. You’ll never have to worry about the quality of our tax services as we are enrolled agents. That means that our services are always subject to being critiqued and examined by our peers to ensure that we are providing you with the highest standard of quality services that you deserve. 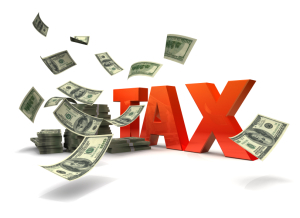 A&R Income Tax is here to provide you the best tax services that your money can buy, so that you can reap the rewards of saving more on your tax return when it comes in. If you are interested in hiring us for tax services, please feel free to contact us at the information provided below. We’d be happy to discuss your case with you and any questions you may have in regards to our tax services. We’re here for your benefit, so feel free to send us an email at your earliest convenience and we’ll get back to you as soon as possible.